Content curation ensures that your eLearning course is more comprehensive. It gives you updated content that you can add to your eLearning course. It also provides you with reference online training material that learners can use outside of the online training environment. Best of all, real-time content provides practical experience for the theoretical classes your online learners are taking. Unfortunately, curating content manually is quite labor-intensive. You can automate the content curation process to save time and make the whole undertaking more efficient. Some types of automation require complex programming. Others are simply a matter of being more organized in your approach. Here are 5 tips to automate the content curation process. Automating the content curation process has many more advantages than saving time. It makes effective use of available human resources, which makes you more efficient. Coming up with interesting study materials helps your online learners get more involved. They can engage with videos and blogs more easily than their "official" online training material. This kind of online training content can personalize eLearning, because online learners are able to select the references they identify with. Supplemental online training content is easy to test, because you can see what does and doesn’t work at a glance. Plus, you have the option to tailor content to give online learners exactly what they want. Automating the content curation process prevents online instructors from getting fatigued. It also saves online learners the intense task of digging up all this data on their own. Most of the time, online learners don’t know where to start, and may give up altogether. Automation keeps them going. If you have a system in place, then you’re able to delegate content curation more effectively. It can be done either using a specifically coded program or manually by your eLearning team. Start with a large list of relevant content from credible sources. As you search, restrict yourself to specific areas. You can map out learning pillars or preferred topics as a framework. Once you find a viable link, put it in a spreadsheet with descriptive text. The description defines the type of content, e.g. article, video, etc. It mentions the source, content duration, and topics covered. For articles, estimate the number of minutes it will take to read each piece. You can also mention the learning pillar this particular piece covers. Double-check the content to see whether it adds value to online learners. Use automated notifications to let them know it’s available. Online training courses are the most popular way to move up the corporate ladder. They increase employee skills so that they can perform better and get promoted. With the world moving at an ever-increasing pace, it’s hard to keep up. By the time you finish your online training, it’s been upgraded to something new. Supplementary online training content is a good way to catch up. Create an aggregated feed on your topic. This way, whenever there’s a new version of fresh data, the information is automatically fed to you and your corporate learners. You can set up the system to notify you of new online training material. Alternatively, check the feed once a day or once a week, depending on volumes. You can then distill the feed and give corporate learners a shorter, more relevant list of online training resources. As you gather your resources for eLearning content curation, think about the three stages of content management. These stages apply whether you’re curating manually or using automated content curation systems. Seeking is identifying those resources in the first place. Check your social media feeds and identify accounts that offer consistent, reliable material. Then aggregate their feeds so that you don’t miss any of their updates. You might go to their individual sites and sign up to get their feeds in your inbox. You can later sift them for relevance. Once you have them all in one place, look through them. Get a sense of what is relevant and what isn’t. Once you’re comfortable with the data, you can share it with your online learners. Automate a weekend review list that goes out every Friday. The most important part of the content curation process is setting curation criteria. The second most important part is the tools that you will use. As you select the tool to use, the first thing to keep in mind is that it should fit with your budget. There are also tools that allow you to create a brief, which will then automatically curate your eLearning content. This brief may cover keywords, influencers, and selected RSS feeds. If there are certain sources you mistrust, you can block those websites so that they don’t appear in your search list. This eases access and usage. You can use it to track competing products, sales volumes, and new technology within your sector. Automating the content curation process is one of the smartest things you can do for your eLearning course. You can now follow these brief guidelines to simplify your automatic content curation process and get the most from your efforts. Create an automation template so that you or any eLearning team member can handle content curation tasks. Gather material that promotes microlearning. Find good information, analyze it for relevance, and share it on an automated schedule. Work with automation tools to streamline the content curation process even further. Curating content doesn’t have to be a stressful, time-consuming task if you use these 5 tips and have a plan in place. Which methods can you use to curate content more effectively? Do you know how to analyze and organize curated eLearning content? Is there a thorough way to curate eLearning content into learner-friendly formats? Do your curated online resources make the grade? Are they relevant, relatable, and reliable? Are they helping online learners absorb the information more effectively? Have you mastered the fine art of evaluating, organizing, and packaging your curated eLearning content? 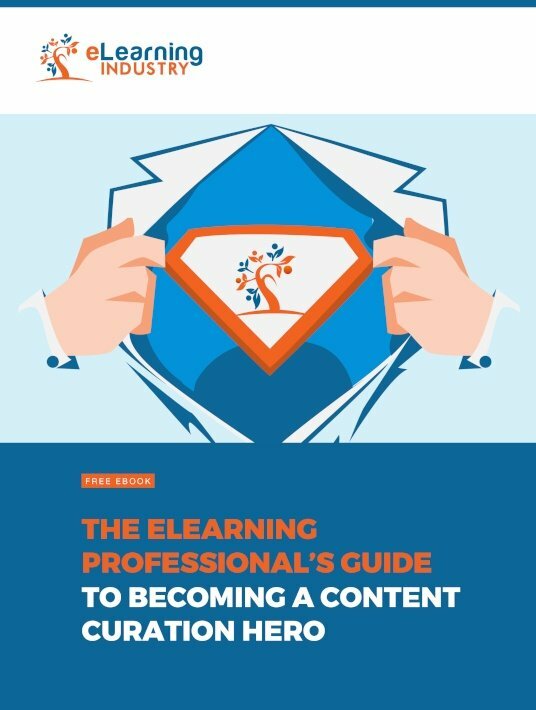 Download our free eBook The eLearning Professional's Guide To Becoming A Content Curation Hero to learn more tips and techniques to curate valuable eLearning content for your organization. You’ll also discover innovative ways to use the assets you mine online, as well as the top resources you should consider for high-quality curated content. Get your copy today to become a content curation hero!